Birds: More Woodpeckers, and today it is two Flickers one from the east and one from the west. These are both Males and the females just have the red removed. East … Northern Flicker. 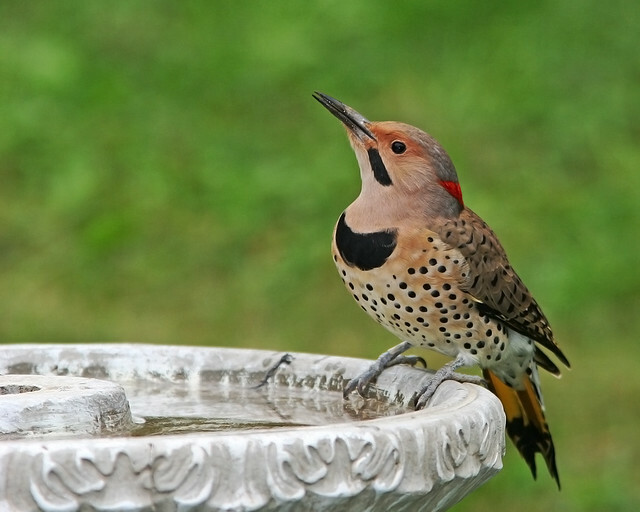 Actually the northern Flicker can be seen about anywhere in the US all year. 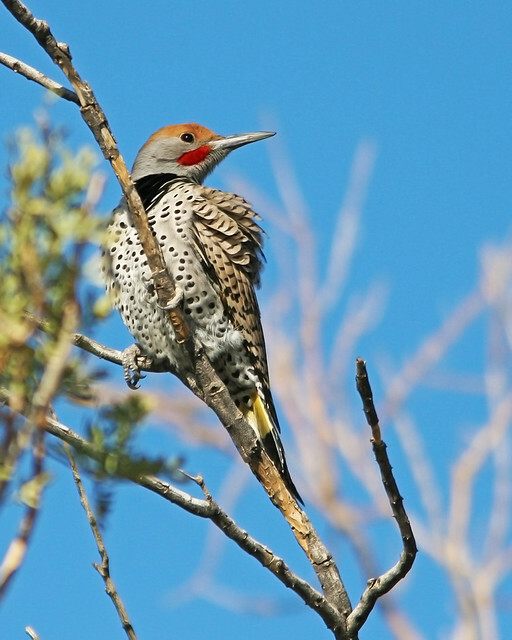 West … Gilder Flicker, in the US it can only be seen in AZ. Weather: It is coolish, I am even running my electric heater. I think the humidity is making it feel cooler than it really is. We are getting lots of rain this year in upper NM and that is good. Looking at the forecast for next week I see a day that it is only getting into the lower 60s, wow. It is 4pm and the rain has just set in. The weather has turned the map upside down! Nineties here in northern Montana. Yes, we got a huge rain yesterday and it is giving rain for today. Thanks Judie, they are a neat looking bird. They are neat Bird to watch!